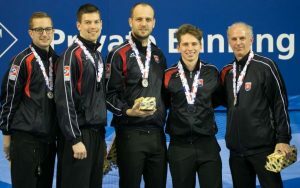 Ireland gained some success at the recent European B League championships in Braehead when ICA member, Alan Mitchell, won a tremendous B league silver medal as coach to the successful Slovakian Men’s team. Not only did the team of Jakub Polák, David Misun, Patrick Kapralik & Juraj Gallo win the silver medal but gained promotion to the European A league for 2017. Congratulations, guys! 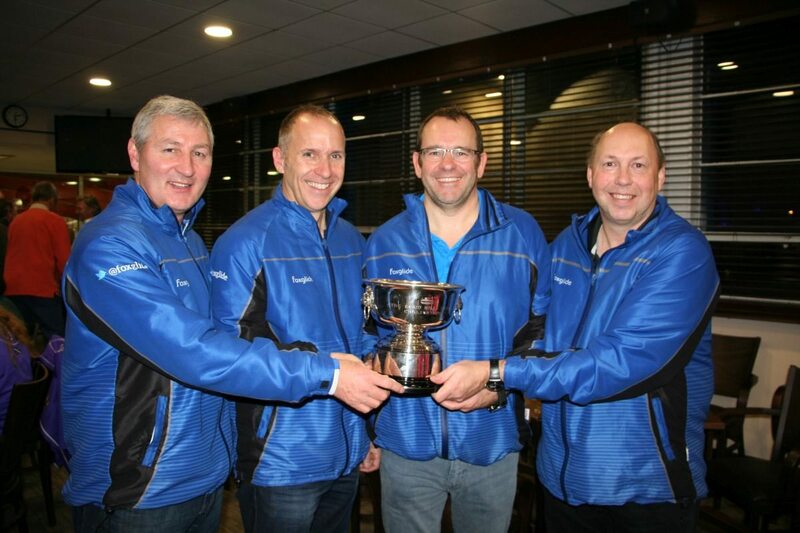 Well done to ICA members Robin Gray and Neil Fyfe who, along with team-mates Doug Kerr and Eric Richardson, won the Edinburgh International Senior men’s title at Murrayfield last weekend. It had looked like the official men’s team – Peter Wilson, Johnjo Kenny, Bill Gray and David Whyte, might make the final too, but unfortunately they were beaten in the semi by Callum Harvey.